The state’s premier outdoor concert venue is celebrating its 50th anniversary this summer. 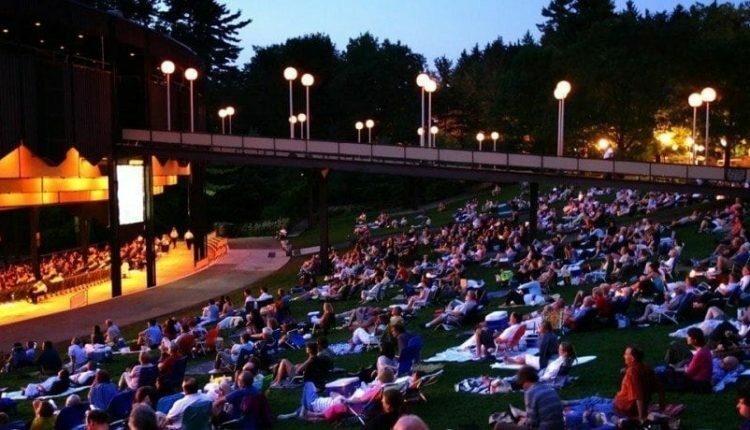 Saratoga Performing Arts Center kicks off its golden anniversary concert season with the fourth running of the SPAC Rock and Run, which offers 5k, 10k and half marathon distances, on May 15. Albany-area siblings Jocelyn and Chris Arndt, who were breakout artists at last fall’s Utica Music and Arts Festival, will perform as part of the SPAC Rock and Run Races. Once the music takes over, highlights this season include a three-night run from Phish July 1 to 3 and a double bill of Dave Matthews Band July 15 and 16. Dead and Company pay a visit to SPAC June 21 with John Mayer laying down Jerry’s licks, and Mumford and Sons bring their electric brand of folk to a sold-out show on June 15. The annual Freihofers Saratoga Jazz Festival, featuring headliner Smokey Robinson in addition to three 2016 Grammy Award winners, Jon Cleary, Christian McBride, and Eliane Elias, takes place June 25 and 26. SPAC’s long-time resident the Philadelphia Orchestra takes up its annual residency beginning Aug. 3, and the New York City Ballet brings 16 ballet performances throughout July.